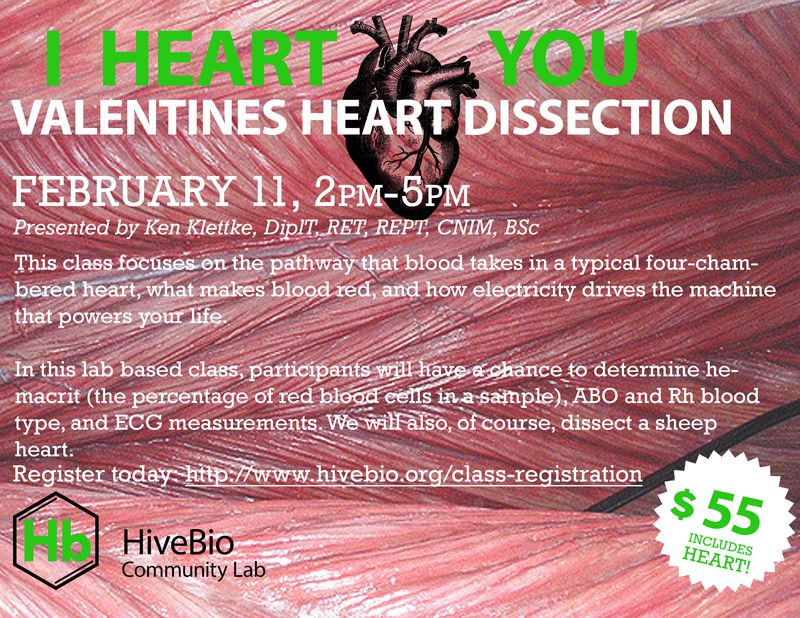 HiveBio is happy to announce a new class series that begins this weekend: Where Science Meets Art! 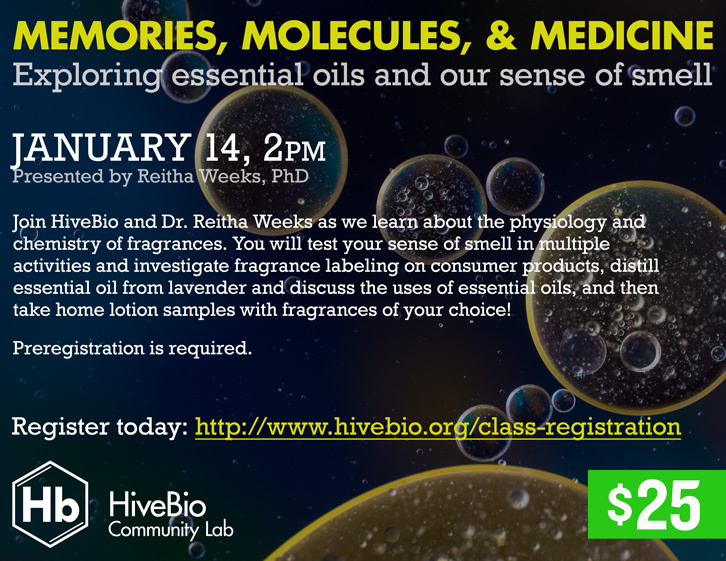 Each of the classes in this series will explore both a science concept and an art concept, and bring those concepts together in new and exciting ways! 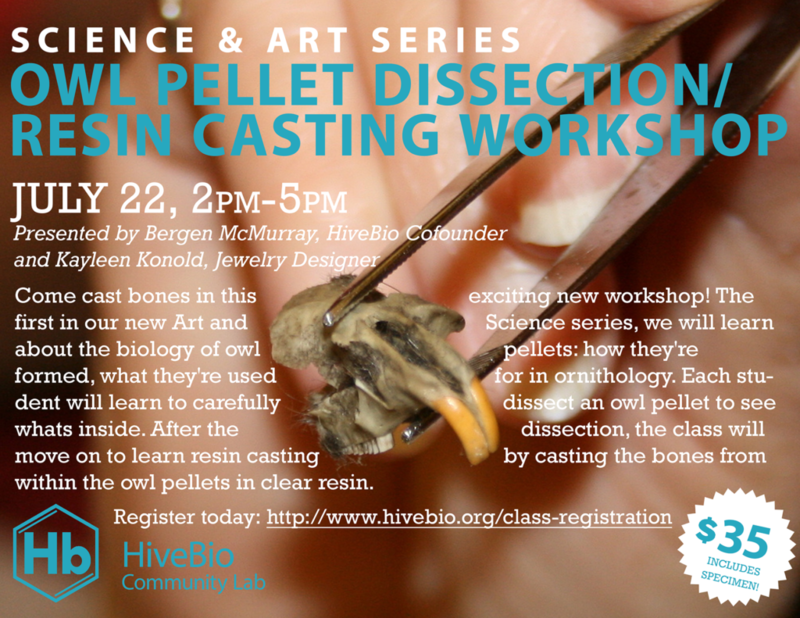 Our first class in this series is an owl pellet dissection combined with a lesson in resin casting. A pellet, in ornithology, is the mass of undigested parts of a bird’s food that some bird species occasionally regurgitate. The contents of a bird’s pellet depend on its diet, but can include the exoskeletons of insects, indigestible plant matter, bones, fur, feathers, bills, claws, and teeth. In this workshop we will learn about the biology of owl pellets: how they’re formed, what they’re used for in ornithology. Each student will learn to carefully dissect an owl pellet to see whats inside. After the dissection, the class will move on to learn resin casting by casting the bones from within the owl pellets in clear resin. Each student gets to keep their bony creation! Materials included in ticket price. The day has finally come! 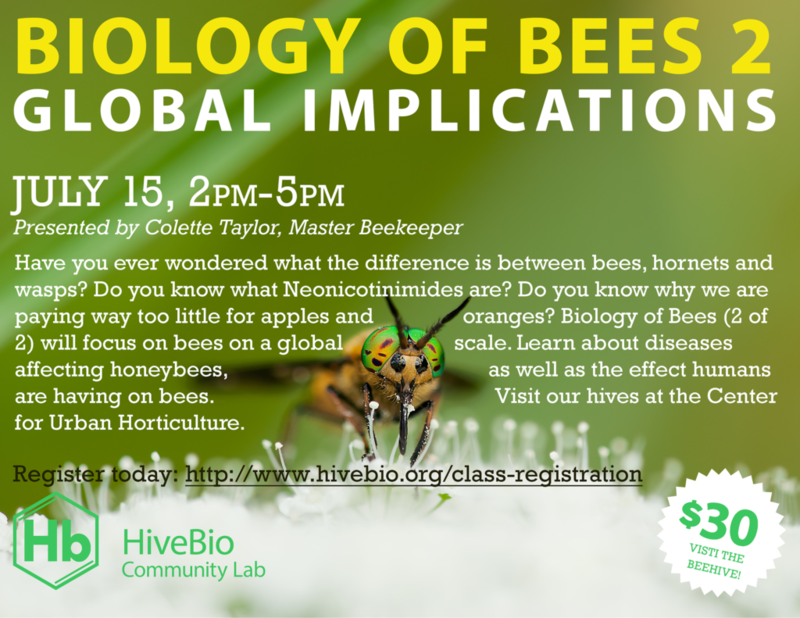 Thanks to the awesomeness of our new Master Beekeeper Colette Taylor, and her Apprentice, Allie Kerr, HiveBio has an ongoing beekeeping community project that our members can join! 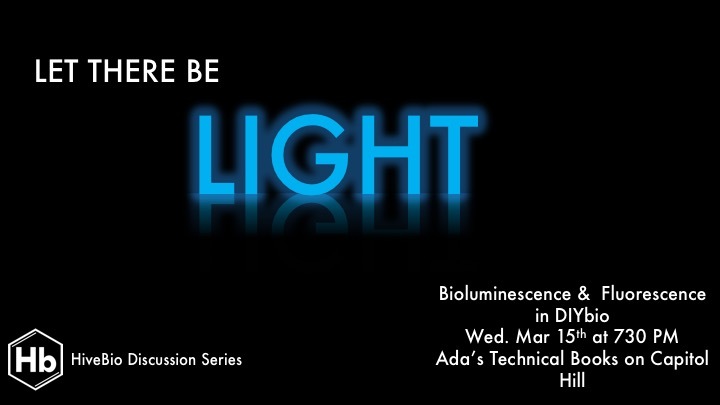 The information about how to join that is upcoming. 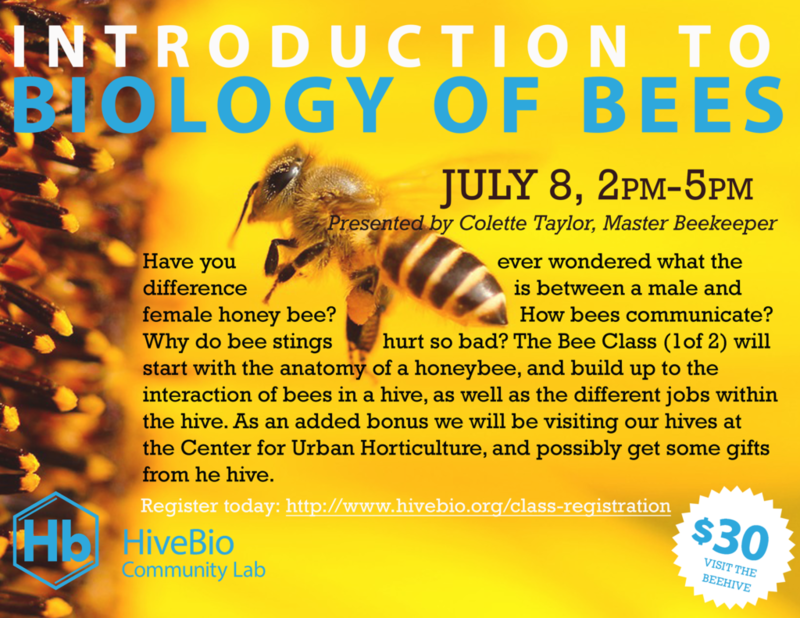 For the moment, we’ve got two new Biology of Bees classes scheduled. 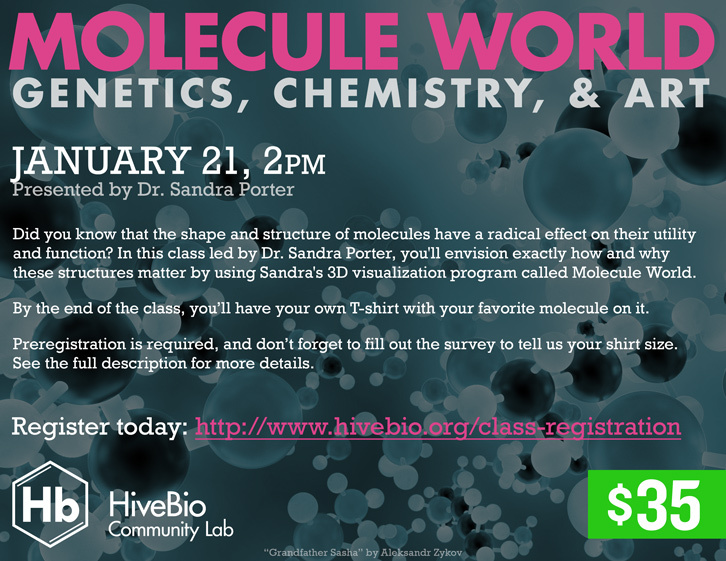 Please join us to learn about the wonderful world of bees! Sometimes expecting parents decide to reveal the gender of their child to themselves in exciting ways – colored frosting inside of cupcakes or cakes. Bite into the sweet, and the color of the frosting lets you know the gender of your baby. 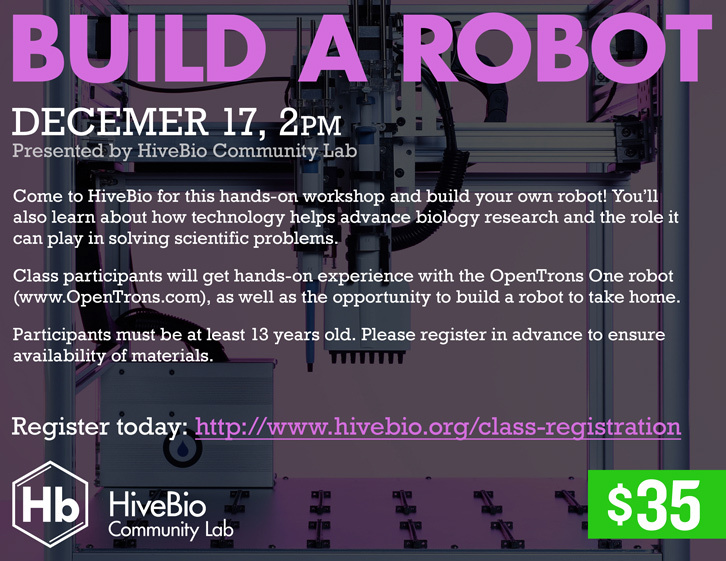 At HiveBio Community Lab, we do it a little different. We do it with science! We were approached by the awesome Andre and Lyndsey, who are due in June 2017. They wanted to find out the gender of their little one in the funnest possible way – an explosive chemical reaction! 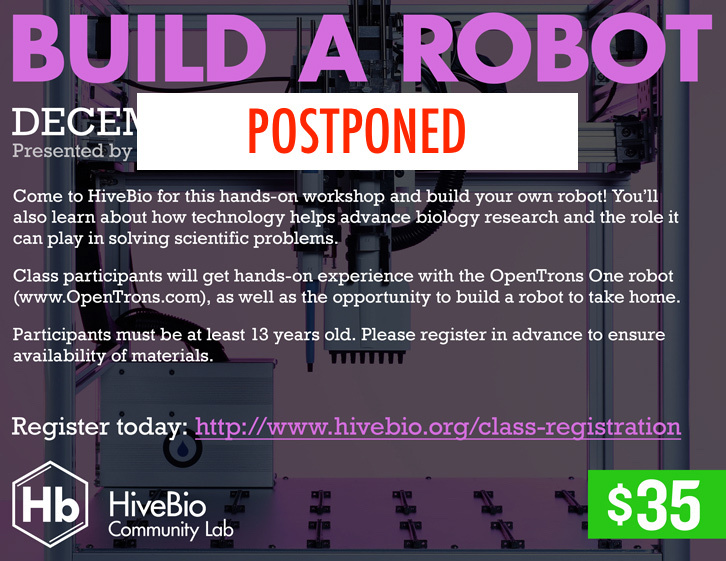 Using the Elephant Toothpaste experiment prepared by HiveBio’s Chief Science Officer, Scott Canaga, they would find out if their yet-to-be-born baby is a boy or girl! After opening the sealed envelope from the family’s doctor, Scott prepared the colored solution in an obstructed flask. Andre and Lyndsey poured the final chemical in the solution and BOOM! The reaction ensues. Do do your own Elephant Toothpaste reaction, see these instructions!